We went to see Nila again at her wine bar, Bibenda. 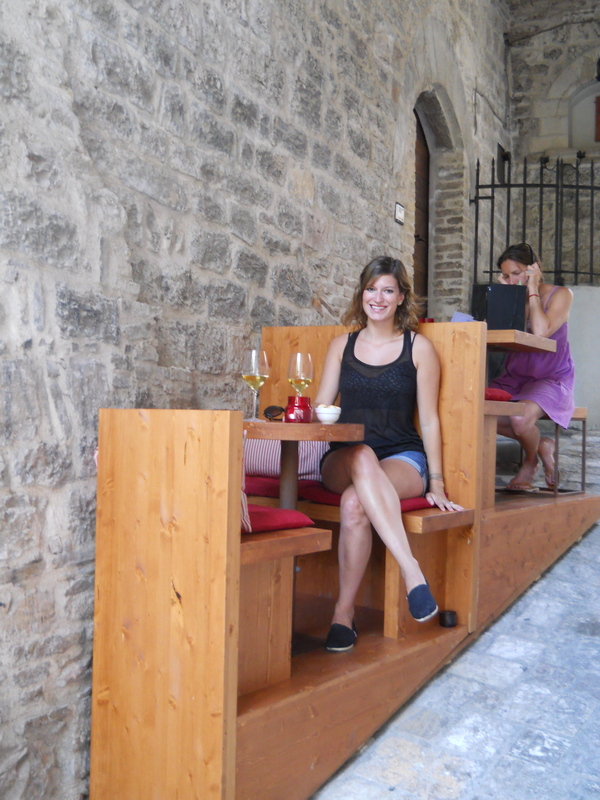 It is under the arch near the Piazza del Commune and Via San Ruffino, the heart of town. She has two little booths outside under the arch. She is Caroline’s new Italian fairy godmother. She wants to set her up with a rich Italian from Assisi. 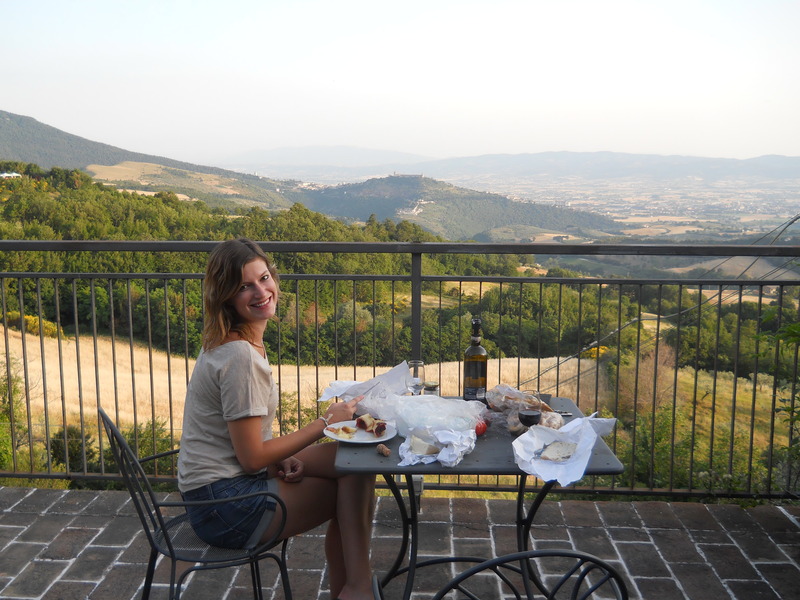 The first photo is our picnic dinner from the deck of our place: Alla Madonna del Piatto.